When you think of stripping the screw out of a piece of wood, you may consider it to be an easy job but trust me it’s not. Not having a proper knowledge about what to use or how to use the material to take the screw out of wood can damage both the things wood as well as the screw.Well, you don’t have to be a pro for the sake of stripping out the screw of wood a little bit of knowledge about this purpose is enough. For the better knowledge of how to get a stripped screw out of wood does follow the given steps. 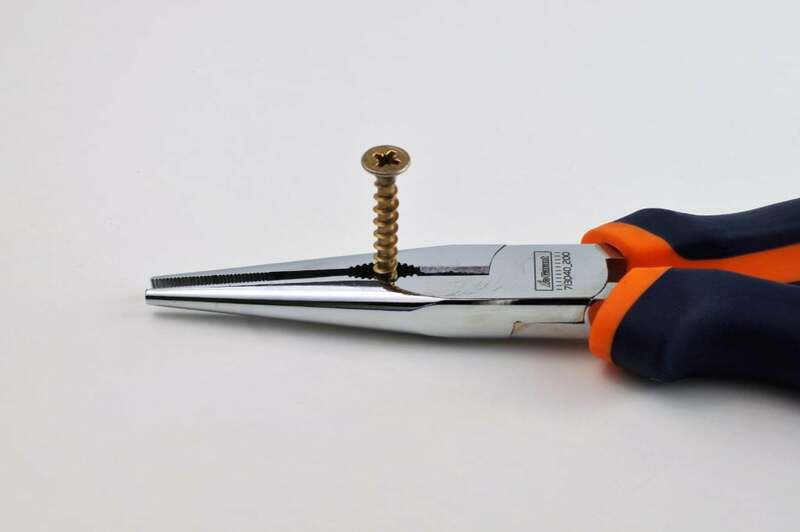 If it is possible to have tight grip on your screw head then do use a screwdriver. You may use a wrench for better grip. You may use adhesive tape, steel wool for the sake of gaining more grip. Then hammer the screwdriver’s head but not in a hard way, keep doing it till it goes inside the stripped Philips head screw. Now with full force rotate the screwdriver into the right direction for the removal process. It is usually seen that the left rotation losses the screw and right rotation tighten the screw. Providing it with heat will loosen the threads, but make sure you don’t end up damaging the surface. The heat must be provided in accordance with the substance’s heat tolerant capability. You may also cut the notch so that your screwdriver fits into the screw head. An impact driver is a tool which makes a screwdriver in the screw with the help of weight and spring. Do not use it in delicate places its force might cause damage. Set the device either by turning the handle or by switching the models. Select the bit that is according in size of that of the head of the screw and place it at 90 degrees. With the help of the heavy mallet strike the end of the driver. If possible then do use rubber mallet that prevents scratches. Once you find that the screw starts to come out remove it by using a regular screwdriver. It is a very useful way of removing a stripped screw but you need to be more careful. Make a slight hole into the exact middle of the screw by hammering the end of the screw extractor. That gives you space for a drill. With the help of the drill machine make a hole into the head of the screw. It should be nearly (4-6 mm) deep. You don’t want to break the screw inside the hole so don’t go too deep. Use a brass hammer to tap the extractor into the screw head. Have a good grip on the hole of the screw. Now turn the extractor gently at the beginning and increase the force. The screw eventually starts to come out. The drilling will already have loosened the screw. Heating is the last option if it doesn’t come out. Remove the extractor then heat up the screw, to cool it off use water on it that will loosen up the threads makes it easier for the extractor to take out the screw.